Feasting with your Air Fryer NEW!! The air fryer is the newest "must have" appliance that you really should get! This countertop convection oven will change the way you cook and help you put healthy meals on the table fast! Join chef Liz Barbour for a cooking class that will help take the mystery out of this amazing, time saving kitchen tool. Liz will demonstrate 2 recipes that you can recreate at home. Following her demonstration Liz will offer tasty samples for everyone to enjoy. Low-Carb Recipes for Weight Loss and Vitality NEW!! Lowering your daily carbohydrates will not only help you lose weight, but a lower-carb diet can solve common health problems many of us suffer from. Learn how to successfully start a low-carb diet and see how easy it is to stick with it. Chef Liz Barbour will teach you how to fill your refrigerator and pantry with low-carb foods to help you stop cravings and satisfy your hunger so you eat less. Liz will share her favorite low-carb recipes to help you love this healthy, delicious way of cooking and eating. We all want to eat well but our busy schedules often keep us from taking the time to cook healthy meals. Understanding what ingredients to have in your refrigerator, pantry, and freezer is key to whipping up a fast, healthy, and delicious meal. Join chef Liz Barbour to learn how to use your pantry and your local market to create and prepare delicious, healthy meals in 15 minutes. You’ll need lots of tips and tricks to pull off these meals and Liz is excited to teach them to you. Enjoy a cooking demonstration of 2 recipes and samples for all to taste. 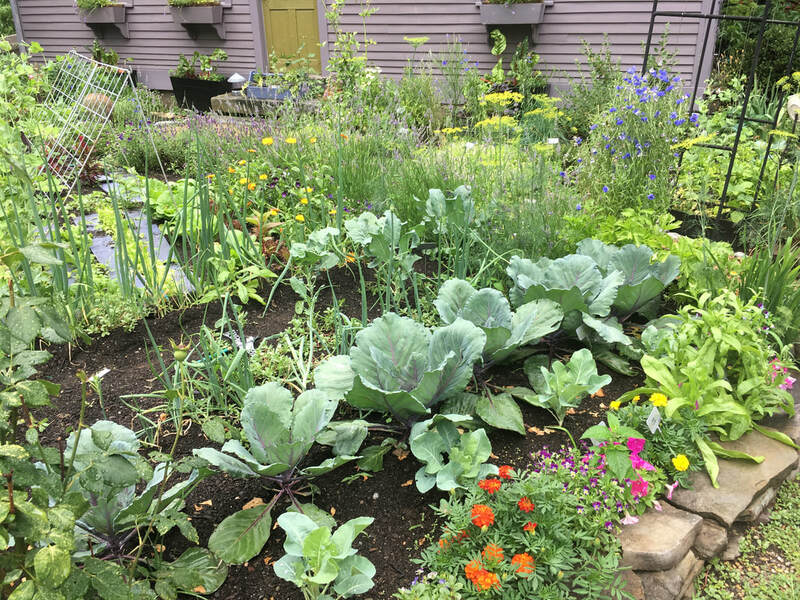 Chef Liz Barbour combines her love of gardening and cooking in a program designed to inspire you to eat what you grow. Enjoy a slide presentation of Liz’s cottage-style vegetable gardens followed by a cooking demonstration of a variety of cooking techniques that will help you to prepare vegetables that are cooked well and seasoned perfectly every time. Following her demonstration of 2 seasonal recipes Liz will offer samples for everyone. Nothing is better than a delicious homemade soup. Chef Liz Barbour will teach you the important steps to prepare a hearty soup for any time of year. Then, she will show you how to take the leftovers of that soup, add a few additional ingredients, and create an entirely new and amazingly delicious variation. Liz calls this a “progressive” soup and she is eager to walk you through the steps to prepare 2 soup recipes you can prepare at home. Filling each meal with SuperFood ingredients can be simple and delicious even for the pickiest eaters. SuperFoods are foods that are dramatically better than others for our health and longevity. Chef Liz Barbour will share kitchen tips, and shopping suggestions that will make the SuperFoods lifestyle simple enough for anyone to follow and put into regular practice. Following her discussion, Liz will demonstrate how to combine and prepare SuperFood ingredients to create super healthy recipes. Enjoy a cooking demonstration of 2 delicious recipes with samples for everyon​e. Feasting with your Instant Pot NEW!!! Have you ever eaten an entire bowl of popcorn when you weren’t hungry? Do you know what 1 cup of cereal really looks like? When we eat mindlessly we often miss the triggers and signs that our bodies send us to let us know we are not hungry. Join chef Liz Barbour as she helps to identify the cycle of mindless eating and offers some simple ways to help you be a more “mindful” eater so you can change your eating habits with success. Liz’s slide presentation will be followed by a cooking demonstration of 2 healthy recipes with samples for all. The modern movement of eating locally grown and raised seasonal fare has its roots deeply planted in our historic kitchens. Chef Liz Barbour explores our modern journey back to the local farm with a slide presentation about the benefits of buying locally and eating within the season. Following Liz's slide presentation, she will offer a cooking demonstration of 2 recipes featuring locally harvested, seasonal ingredients. Farm fresh ingredients never tasted so good!